In the tradition of Paula McLain’s The Paris Wife and Laura Moriarty’s The Chaperone comes a sweeping historical love story and a portrait of an age. Vienna Nocturne is a deeply moving debut novel that brings to life two extraordinary figures—a thirty-year-old Wolfgang Amadeus Mozart and a young English soprano, Anna Storace, who was his muse—in prose as spirited, timeless, and touching as Mozart’s greatest compositions. In late-eighteenth-century London, a young girl takes her first singing lessons with a mysterious castrato in exile. Her life is forever changed. Having learned everything he can teach her, Anna leaves behind all the security and familiarity of home and journeys to Naples and Venice to struggle and triumph in Italy’s greatest opera houses. Only sixteen, she finds herself in an intoxicating world of theaters, nobility, and vice, overwhelmed by her newfound freedom and fame. Her first bitter experience of love and heartbreak inevitably follows. Within a few years, Anna is invited to sing in Vienna, the City of Music, by the emperor himself. There, in a teasing game of theft and play, Anna first meets Mozart, a young virtuoso pianist and striving, prodigiously talented composer. They are matched in intellect and talent, and an immediate and undeniable charge occurs between the two, despite both being married to others. As her star rises in Vienna and her personal life deteriorates, Anna experiences an ultimate crisis. During this trying time, her only light is Mozart: his energy, his determination for her, and his art. She, in turn, becomes his hope and inspiration, and his joy, as he writes for her some of his most exquisite and enduring arias—music that will live on as his masterworks. 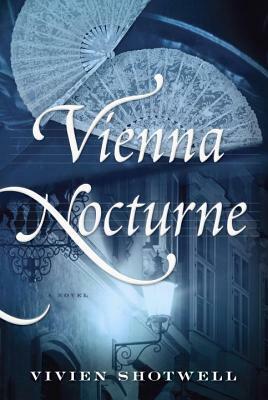 Rich in historical detail and beautifully wrought by Vivien Shotwell, an author who is herself an opera singer, Vienna Nocturne is a dramatic tour de force of a woman’s struggle to find love and fame in an eighteenth-century world that controls and limits her at every turn. Vivien Shotwell is a classically trained singer with degrees from Williams College, the Yale School of Music, and the Iowa Writers' Workshop, where she was an Iowa Arts Fellow. As an undergraduate voice student at Williams, Shotwell first sang the beautiful aria "Non temer, amato bene" ("Don't fear, greatly beloved"), which Mozart wrote for and performed with the young soprano Anna Storace, and knew she had to tell their story. A daughter of independent booksellers, Shotwell was born in Colorado, raised in Nova Scotia, and now divides her time between Halifax, Nova Scotia, and New Haven, Connecticut. This is her first novel.